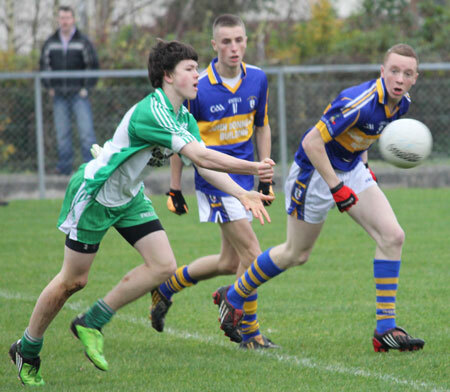 A sustained unanswered first half blitz of points proved too high a mountain to climb for Aodh Ruadh in the under 16 club semi-final against O'Donovan Rossa of Belfast. 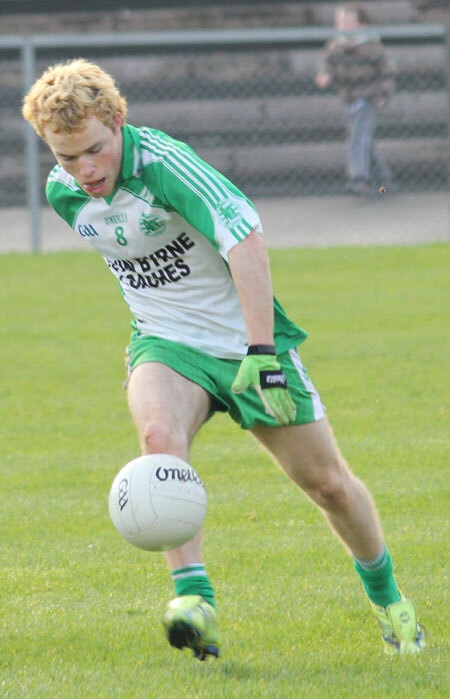 Naturally, there was disappointment after the match among the team and the substantial travelling Ballyshannon support, but Aodh Ruadh can reflect on valuable experience gained and three Ulster championship matches which provided a true test of collective mettle. 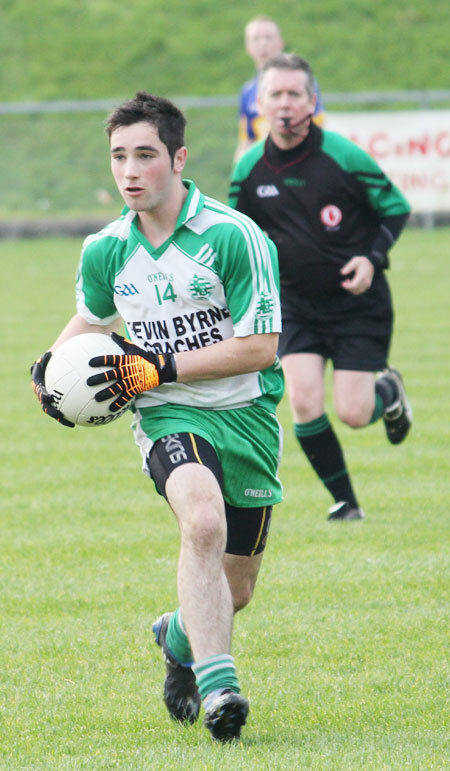 Aodh Ruadh started the brighter of the two sides, earning a 45 before Chris Boyle point slotted over a good point to open Rossa's account on four minutes. 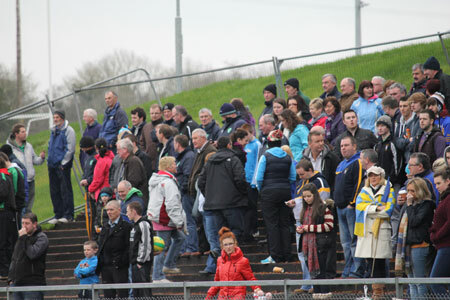 After that it was unrelenting one way traffic for the remainder of the half up to 23 minutes when Jamie McDonald finally opened the Aodh Ruadh account. 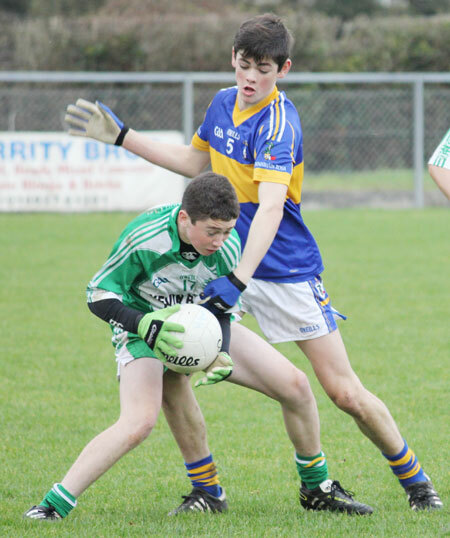 Aidan Orchin was one of the unsung stars for Rossa and he showed his quality with his side's second point on seven minutes. 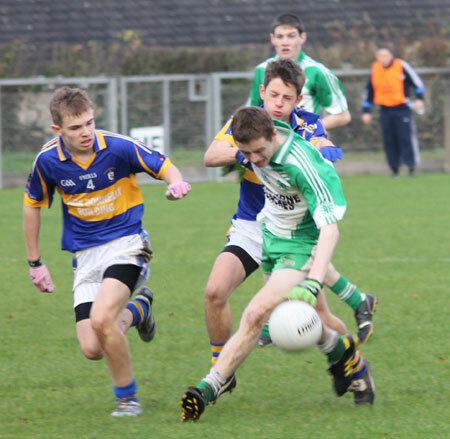 He had to show great persistence in the face of some determined Aodh Ruadh tackling to hit a fine left footed point. The next score came three minutes later courtesy of a ball dribbled soccer style down the end line and chipped across the goal mouth to Deaglan Murphy who pointed from close range. Four minutes later a towering effort from the Belfast's lad most consistently dangerous forward, Chris Boyle, extended the gap to five points with Aodh Ruadh struggling to breech the opposition 45. A close range free from from Sean Pat Donnelly as the game moved into the second quarter put two goals in it and that was compounded when Chris Boyle collected directly from the kick out and fired over a easy chance. Corner back Niall Devlin came scavenging up the pitch for the Lagansiders and it was his good work which set up Gareth George for his first point of the day. A free from Boyle a minute later made left the score at 0-9 to 0-0. 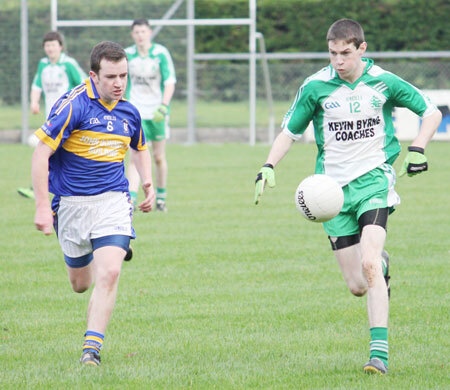 Rossa eased off and Aodh Ruadh finally managed to create a few chances in the dying moments of the half. McDonald got the opener and David McGurrin added another from a free on the stroke of half time. 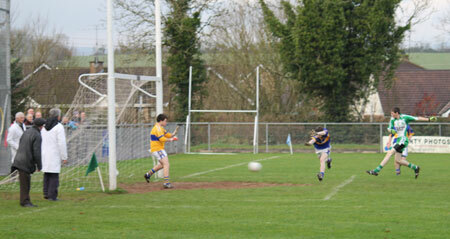 Conor Gilmartin was very unlucky to see his shot come back off the post. 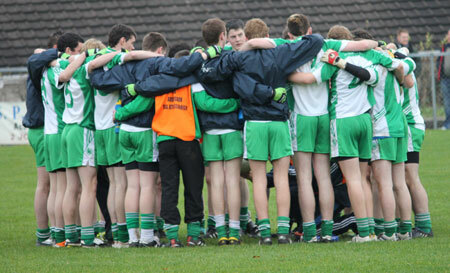 Had Aodh Ruadh gone in just six points down given how poorly they performed they would have been very happy with their position. 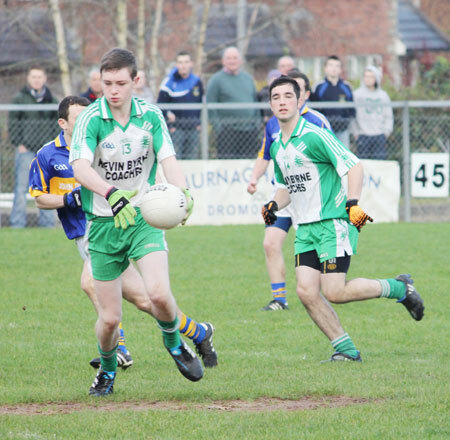 Aodh Ruadh were much more like themselves in the opening phases of the second half. Conor Gilmartin got his point just 24 seconds into the half after Pauric Patton worked a distance free into a scoreable position and Gilmartin finished. A minute and half later came the moment that could have blown the tie wide open. 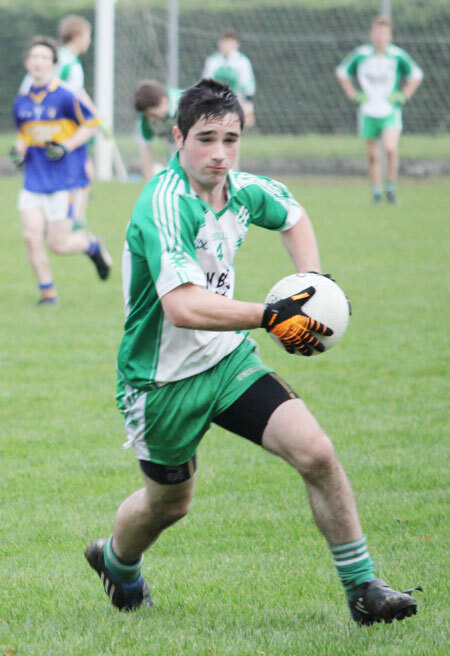 Aodh Ruadh carved open the Rossa defence and a shot blast across goal seem destined to burst the back of the net, but it came back off the foot of the post. The ball ricocheted into a mess of bodies where an Aodh Ruadh player managed to get a good clean connection for what seemed like a certain goal. 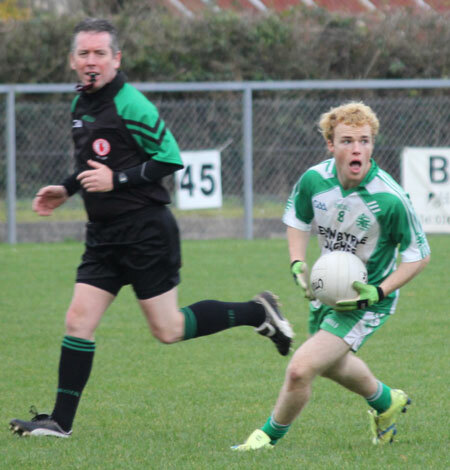 Somehow Domhnall Moran managed to scramble the ball clear and the groan from the Aodh Ruadh support was testament to a golden opportunity denied. Undeterred David McGurrin hit an inspirational point a minute later and followed that almost immediately with a great left foot effort to take the scores to 0-9 to 0-5. Had the goal gone in, it would have meant just a point between the sides. 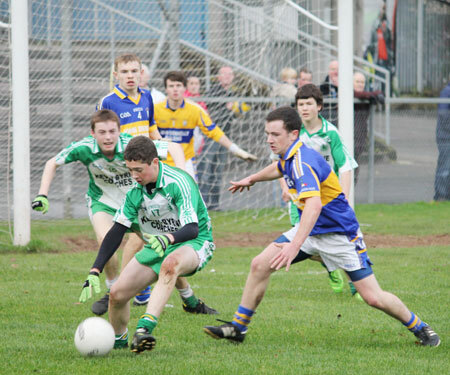 Rossa were definitely rattled, but Sean Pat Donnelly helped settle nerves a little when a shot sneaked just inside the post to make it double scores. 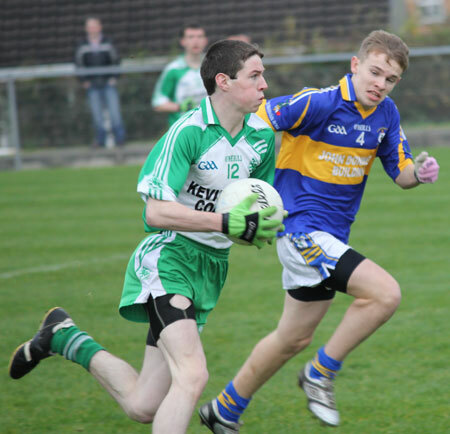 Aodh Ruadh replied with a well executed score from Conor Gilmartin. However with 43 minutes gone the Belfast side got what would prove to be the insurance score. 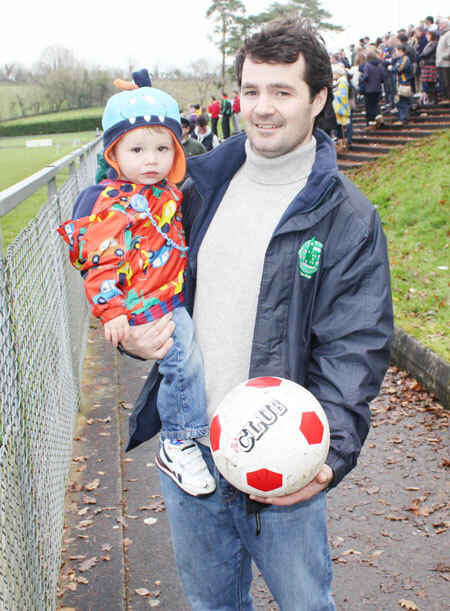 A laser guided ball was delivered into the Aodh Ruadh area on a low trajectory straight into the chest of Gareth George. George pivoted on the spot and slashed the ball home with real style. 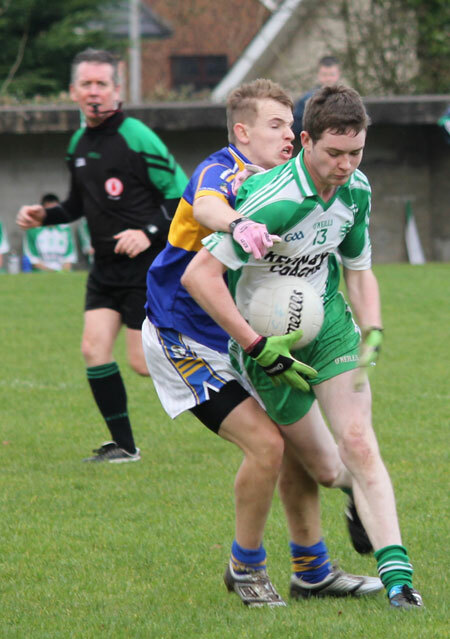 Rossa were able to play out a comfortable rearguard action for the final quarter, flooding their defence and allowing Aodh Ruadh no room to engineer attacking opportunities. David McGurrin ate into the lead with a 20 metre free on 48 minutes, but the last word was left to Gareth George who landed an excellent 45 with five minutes remaining to book the Lagansiders place in the final against Rostrevor. 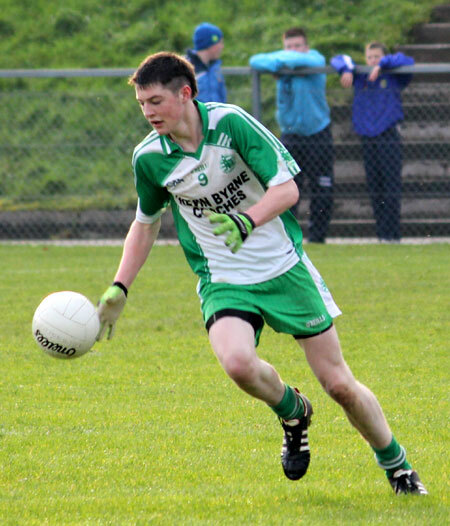 A shattering experience for Aodh Ruadh after putting in so much work. Uncharacteristic mistakes and spells of poor decision making were punished ruthlessly by O'Donovan Rossa who made few errors and even when they did fortune often came to their aid. They will take some stopping in the final. Meanwhile this group of Aodh Ruadh players will look forward to minor football next year and the opportunity to apply some of the lessons learned in this Ulster campaign. 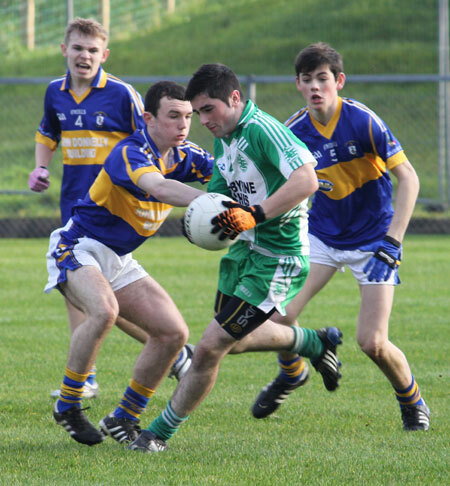 Daniel Kelly; Matthew Maguire, Eamonn McGrath, Ryan Patton; Patrick Gillespie, Colm Kelly, Niall Harley; Pauric Patton, Darren Gethins; James Kelly, Michael McNeely, Johnny Gethins; Conor Gilmartin (0-2), Jamie McDonald (0-1), David McGurrin (0-4, 3f). Substitutes: Eddie Lynch for Michael McNeely: 35 minutes; Matthew Gettins, Conor Kennedy, Stephen Thompson, Gareth Ferguson, Calum O'Halloran, Jack Dolan. Yellow Cards: Darren Gethins: 8 minutes, Paddy Gillespie: 15 minutes. Management team: Shane Ward, Gregory Sweeney, Chris Kelly and Chris Goan. Domhnall Moran; Stephen Gaskin, Padraig McGreevy, Niall Devlin; Gerard Walsh, Nathan Early, Aidan Orchin (0-1); Sean Smylie, Callum McVeigh; James Connolly, Chris McComish, Chris Boyle (0-4, 1f); Sean Pat Donnelly (0-3, 1f), Gareth George (1-2, 1 45), Deaglan Murphy (0-1). Substitutes: Sean Shannon for Deaglan Murphy: 56 minutes. Yellow Cards: Gareth George: 6 minutes; Niall Devlin: 8 minutes. Management team: Collie Murphy, Sean Short and B O Walsh.